Infrastructure is the foundation of modern-day civilization. We ultimately rely upon infrastructure to provide us with access to the resources needed to exist at this scale and density on our planet. Yet there exists a stark funding gap – there is currently a $1 trillion global shortfall on basic infrastructure investment worldwide as compared to what’s needed. This seriously threatens our future prosperity and development. 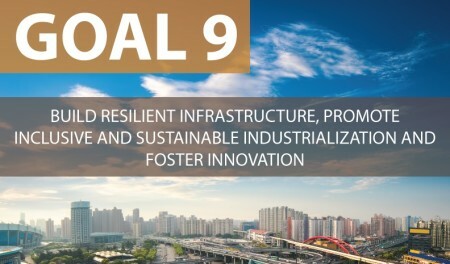 George Blacksell explores how SDG number 9: Build resilient infrastructure, promote inclusive and sustainable industrialization and foster innovation, can help to overcome this. Infrastructure has two dimensions – the physical asset, as well as the solution it provides us with to gain access to key services. Without adequate infrastructure, aspirations to achieve energy, water and food security are all meaningless. Once again, there is the need for systems thinking (a focus on interdependencies in a wider context, over time) when it comes to attainment of the individual Sustainable Development Goals. Three key trends mean our existing and future infrastructure, and the industrial model dependent on it, is at risk. An increasingly volatile climate as a result of climate change. A resource crunch – the global population is predicted to reach 9 billion by 2030, placing considerable pressure on the earth’s finite resources. Infrastructure has traditionally been seen as the domain of the public sector but there is increasingly a business case for intervention from corporates. As the above trends play out, the resources and expertise from business will be essential to shoring up future growth that is dependent on a robust infrastructure base. Google recently added (yet) another string to its bow with the establishment of a new independent company (Sidewalk Labs) dedicated to innovating new technologies needed to improve urban life. The venture is to be headed up by the former deputy mayor of New York and former Chief Executive of Bloomberg, Daniel Doctoroff. The announcement accompanying the launch specifically singled out transit, cost of living (particularly housing infrastructure), energy use and government efficiency as areas of focus. The UK retailer, Marks & Spencer, recently launched a fund for small-scale renewable energy projects. 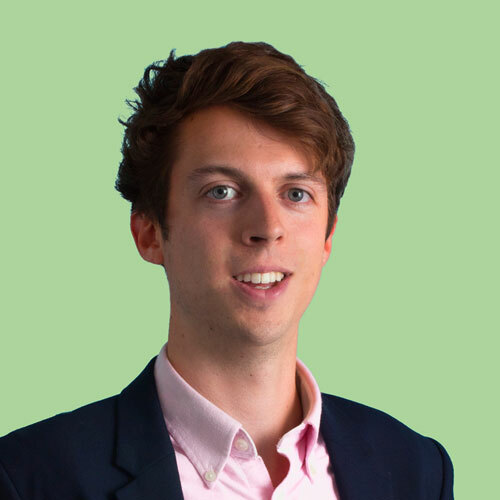 As well as providing some much needed capital for these types of projects, the fund should help ensure that M&S’s sustainability plan is made relevant to local communities. IBM’s ‘Smarter Cities’, Cisco’s ‘Smart+Connected Communities’, Siemens ‘Sustainable Cities’ are all programs designed to work with local governments to provide solutions to urban challenges – in particular those relating to infrastructure. Green Bonds are continuing to grow as investment vehicles dedicated to sustainable projects. YES bank, India’s 5th largest private sector bank, announced India’s first ever Green Infrastructure Bond in February of this year. The bond issue raised $158 million, doubling its original target – with big interest from insurers and pension funds. Providing finance and technical expertise for solutions to infrastructure problems could prove to be big business in the future. Companies, especially technology-led firms, have a wealth of resources available that can improve the operation of infrastructure assets by local governments. Infrastructure can also make a sound long-term investment with stable and predictable cash flows that suit the horizons of pension funds and insurers. Increasingly, businesses and investors are growing wise to this potential and seizing opportunities. Without them, there would be no way of bridging the gap.